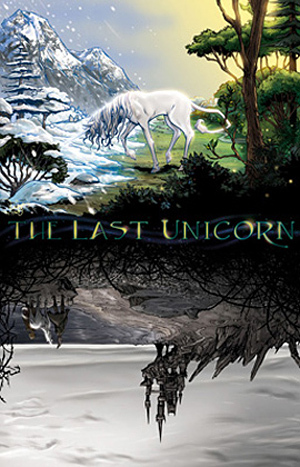 The book The Last Unicorn, by Peter S. Beagle, is currently being made into a comic book! IDW Publishing is making a six comic book series based on the book, and the first issue came out this month. 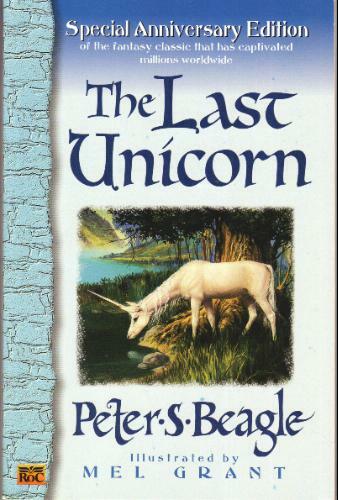 The story was adapted by Peter B. Gillis, and the art is beautifully done in full color by Renae De Liz and Ray Dillion. The end of the first issue features a great interview with the author which continues on into the second issue. 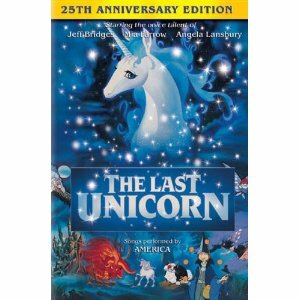 For those new to the book, “The Last Unicorn” came out in 1968 and was adapted into an animated movie in 1982. 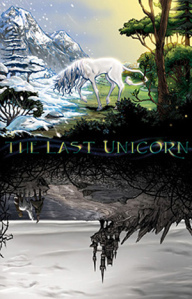 It is the story of a unicorn who goes on a journey to discover whether or not she really is the last unicorn. I love the movie and have read the first comic, I would highly recommend them! 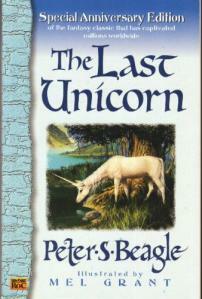 I have the book, but have not yet had a chance to read it. While they are not related to the Last Unicorn directly, they are pretty fun and funny! 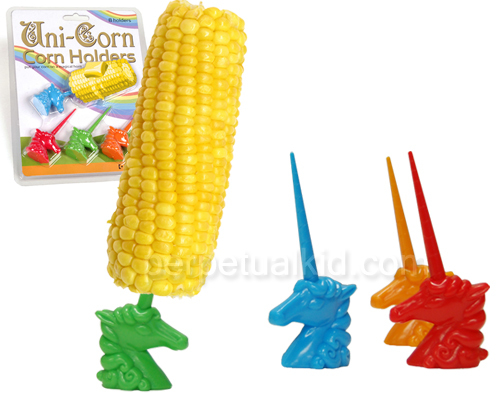 Uni-CORN corn holders…ha ha!